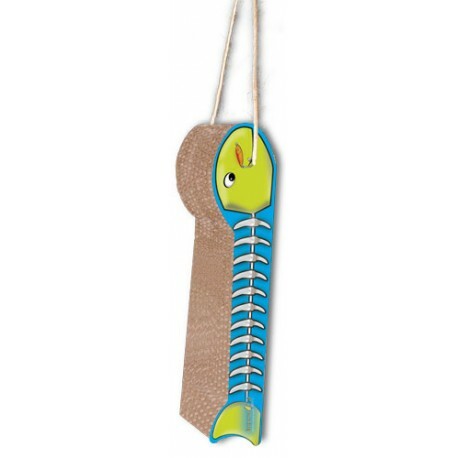 What a catch, The Fish on a Line hanging scratcher is designed to satisfy your cat's vertical scratching needs. 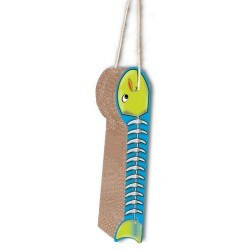 What a catch, The Fish on a Line hanging scratcher is designed to satisfy your cat's vertical scratching needs. 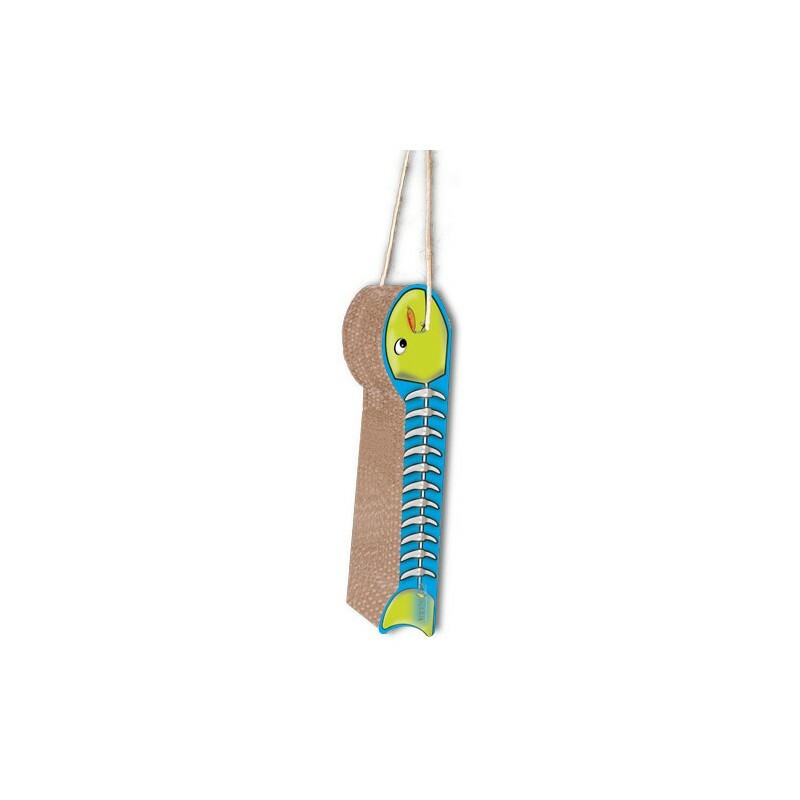 Arrives pre-strung for easy hanging from a doorknob or hook. Unique, honeycomb surface mimics the feel of tree bark a texture cat prefer. Made in the USA from 100-percent post-consumer recycled paper. Bag of 100-percent certified organic catnip included. Dimensions: 4" x 15" x 3"